ATE, a brake brand with a longstanding tradition, is synonymous with experience, innovativeness, and expertise in braking systems. It’s all summed up in the words “Brakethrough Technology”. Innovation as business driver. BOSAL is a result-driven organization, with a desire to provide unsurpassed customer satisfaction through superior quality and premium value. We partner with the world’s 25 biggest automakers. And with more than 170,000 employees in 44 countries, we have the resources, the reach and the OE expertise to create real-world innovations for the global aftermarket. Whatever your job is, FACOM designs and develops the most effective tools solutions to support your productivity and safety at work. From Automotive to Aeronautics, in every industrial sectors, FACOM participates in each technological evolution by providing you the best tool. The seal of quality in the automotive aftermarket. The bilstein group is one of the world’s leading specialists in the independent aftermarket and offers repair solutions for all popular makes of cars and commercial vehicles. The Gates Corporation, headquartered in Denver (USA), is a leading manufacturer of hi-tech rubber belts and hoses for industrial, hydraulic, agricultural and automotive applications. Gates not only supplies to all major car and machine manufacturers, but also to the aftermarket. Automotive manufacturing, transport, agriculture, mining, construction, office equipment, computer technology and food processing are the primary industries it serves. HaynesPro is the leading European supplier of technical data for the automotive industry. We have been serving the automotive market with our unique multilingual database since 1995. If you are looking for maintenance data, repair information, motor management diagnostics and much more for passenger cars, light commercial vehicles or trucks, we can deliver you just that! Powered by passionate people. We work with passion and know-how, with creativity and a thorough understanding of our clients’ specific needs. In order to develop products that shine in every situation thanks to their superior performance. Outstanding solutions for car dealerships, workshops and service stations. Kärcher offers cleaning concepts that are tailored to the specific requirements of car dealerships, workshops and service stations. Discover Kärcher's extensive range of cleaning machines and customer-oriented services. Enthusiasm – the driving force behind all our thoughts and actions. With their dedication and passion, their ideas and abilities, our more than 750 employees have made LIQUI MOLY what it is today: a globally renowned manufacturer of premium quality lubricants, motor oils, additives, vehicle care products, chemical repair tools, service products, glues and sealants. A global trademark for top quality that fills customers with enthusiasm. A worldwide brand, made in Germany. MAHLE Aftermarket is at your side with original equipment quality and specialist expertise for all aspects of the turbocharger. MANN-FILTER - PERFECT PARTS. PERFECT SERVICE. As a strong global brand of the filtration expert MANN+HUMMEL, MANN-FILTER offers a complete range of filters in OEM quality for the automotive aftermarket. MANN-FILTER has compatible filters for practically every car as well as for a wide range of commercial vehicles, agricultural and construction machines. Reflecting the slogan "Perfect parts. Perfect service. ", the premium brand stands for innovative, high-quality products, absolute customer focus, and outstanding service in Sales and Marketing. Meritor is proud to celebrate more than 100 years of serving our customers with superior products that are constantly evolving to meet global market needs. NRF has been active since 1927 and in the meantime has become a leading producer of radiators, radiator cores, air coolers, oil coolers, box coolers and air conditioning components. In this, NRF goes further than production only. NRF develops and manufactures the most advanced systems for heat exchange. NRF’s products find their way into many sectors all over the world. Leading car manufacturers, industrial companies, shipyards and of course the aftermarket are numbered among NRF’s regular customers. You will find our products in the most demanding applications. Selecting NRF means opting for quality and service. The expertise of TecDoc, TecCom, TecRMI and Headline is pooled under the umbrella of TecAlliance. TecAlliance is now a leading global industry solution for the automotive aftermarket. We set and are continuously developing the industry standard, which is making cooperation within the industry more efficient, effective and transparent. In a unique global alliance with the main players of the digital aftermarket and a strong partner network, we support the success of all participants in the digital aftermarket with our data, processes and services. TMD Friction are a Nisshinbo Group company. 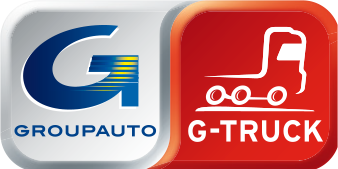 We are the global leaders in brake friction technology. From passenger cars, racing cars and commercial vehicles to industrial applications, we drive excellence through effective, reliable and safe braking solutions. Valeo Service is the multi-specialist serving both auto manufacturers and the independent aftermarket with accessories for passengers cars and commercial vehicles. Valeo Service provides all aftermarket channels worldwide with a broad range of car accessories (EGR valve, wiper blades, brake pads and disks…), products and services to support aftermarket professionals, while providing greater safety, comfort and unique driving experience. Valeo Service also offers innovative tools and services such as diagnostics, training, and sales and marketing support to car dealers, spare parts distributors and independent garages in more than 150 countries around the world. Working with technology enhanced products is the basis of everything you do. Discover our Product Range. ZF is a global leader in driveline and chassis technology as well as active and passive safety technology. The company has a global workforce of around 137,000 with approximately 230 locations in some 40 countries. In 2016, ZF achieved sales of €35.2 billion. ZF annually invests about six percent of its sales in research & development – ensuring continued success through the design and engineering of innovative technologies. ZF is one of the largest automotive suppliers worldwide. Herth+Buss is an owner-managed specialist in vehicle electrics and expendable parts for Asian vehicles. We represent reliability and cost-effectiveness. Wynn’s offers chemical solutions to remedy these problems and restore the optimal operation of vehicle systems. As an alternative to mechanical repairs, many car problems can be resolved or prevented using chemical treatments that are: efficient, affordable and easy-to-use.